Hello everyone, welcome back to my sports and fitness blog. Today there is something that I want to tell you. Michael Vick, the absolute beast from Madden 2005 is not finished. He will be returning for another season of football...in the new American Flag Football League. Vick is currently 36 years old, and he last played football in 2015 for the Pittsburgh Steelers where he started a couple of games for injured quarterback Ben Roethlisberger before injured his quad muscle. Now Vick is getting one more chance to fling it downfield, playing in some 7-on-7 flag football games in 2018. We will get to see our favourite cannon arm before that however, as Vick will be playing in a launch game on the 27th in San Jose. Joining him will be former NFL running back Justin Forsett, who retired from the NFL only a couple of months ago. The game this month will only be an inaugural game, played as a demo before the league starts putting the teams together. The league aims to make the game as widely viewable as possible to get the maximum input from fans and to maximize exposure. The owner of the league has previously stated that he wants to take advantage of new technology in making the games accessible, including streaming of games online. 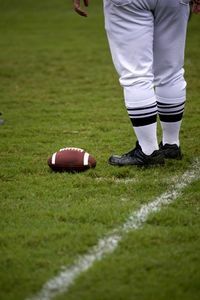 The league aims to be a more fast paced alternative the the NFL, with former professional players joining the ranks in order to continue playing the game they love while maintaining their bodies. I think that this new league will be really exciting, the biggest thing standing in their way is getting the product to customers but with new media platforms there are so many different avenues to explore.